In one of the most coveted streets in Blairgowrie, this architect designed home takes full advantage of its elevated position. Over two spectacular levels with bay views from both, there are living and indoor/outdoor entertaining zones on each level. Upstairs the open plan kitchen adjoins a large dining and living space with floor to ceiling glass windows leading to a large deck to enjoy the uninterrupted and sweeping views of the bay and beyond which will leave you breathless. 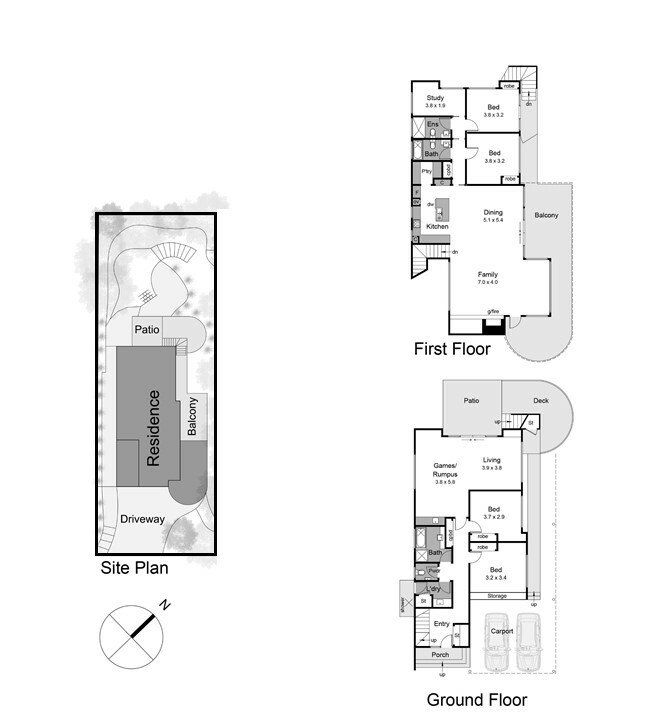 Also on this level is the Master bedroom with ensuite and private study/dressing room (or nursery), second guest bedroom (BIR) and full bathroom. The entry level provides two further spacious bedrooms (BIR's), family bathroom, powder room, laundry, and large games/rumpus room with sliding glass doors leading to a sheltered rear garden courtyard. Simply spectacular, this residence has created a sophisticated, stylish domain that effortlessly embraces indoor-outdoor living with the added functionality of a Jetmaster fireplace, double carport with storage and large rainwater tank with irrigation system. Located within a short stroll to the Blairgowrie foreshore, Village cafes and Yacht Squadron - an inspection will not disappoint.